With just under 6 weeks until Ironman New Zealand, it’s safe to say that I am pleased with my current form. 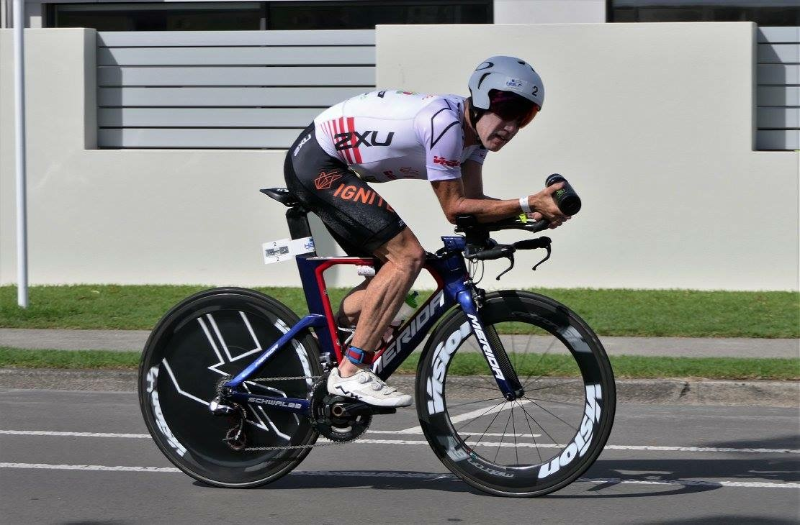 Yesterday’s race at the 29th running of the Port of Tauranga half Ironman was the perfect final short stint before some more big mileage training begins this week, for the next 4 weeks. It was my 20th race at this event and it's always a highlight over summer. Race morning greeted athletes with perfect conditions and it was going to be a warm one with a high of 28°C forecast. Being away from my swim squad for the last 4 weeks (due to the annual family holiday) was not ideal. I really miss not being in a squad and getting whooped each morning by younger swimmers. I had done plenty of ocean swim training, but not specific interval work in the pool. Thus, when this race attracted some of the best swim Triathletes in the world, I knew I might be in trouble! Dylan McNeice is one of the best swimmers on the circuit and after the 2km swim, I found myself nearly 3mins down on him and three others. I knew I had to regain some time before hitting the run.I've had some great training while being away at Whangamata putting in some massive mileage on the roads and trails in our yearly holiday destination. The two 45km loops are dead flat and riders in the Time Trial position the whole time. The first loop I was averaging 44-45km/hr and the gap to the leaders had remaine the same. There were 4 riders in the front group all pushing the pace, so I lost another 1:30min in the last 40km which was not ideal. I was off the bike in 3rd 4:15min down and knew I had to quickly close the gap to Dylan and Mike Phillips, otherwise the race was out of reach. The two-lap run course is one of the best in the world following the main beach of Mount Maunganui and then features a 3.5km trail around the Mount base track. This is where athletes can lose a lot of time with the dirt trails and undulating terrain. I went through the first 5km in 17min 23sec and was slowly gaining time back, but would it be quick enough? After the first lap I had the leaders down to 3mins, so I kept pushing the pace as much as I could. I managed to claw back a good chunk of time, but I ran out of road in the end with Dylan taking the win by 2:17 and Mike Philipps in 2nd just 46seconds in front of me. Again, I'm very happy with my current form and I'll be meeting the guys again in 6 weeks for a rematch over my specialty the Ironman distance on March 3rd for Ironman New Zealand. The weather here in New Zealand is currently fantastic, so it will make the 40hrs of training a week a little easier over the next month before the taper starts.